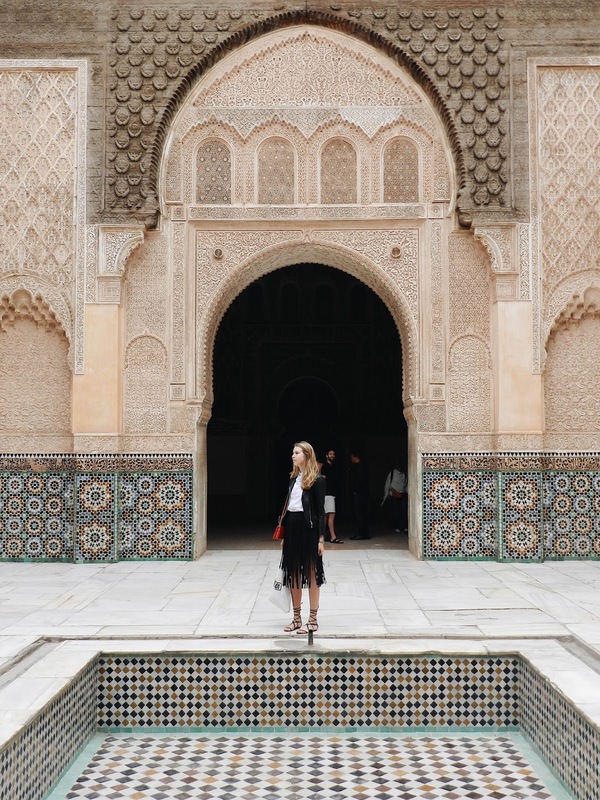 This place is a dream.. Ben Youssef was originally an Islamic school, but nowodays the place is an historical site open to the public. Especially the architecture and the beautiful walls and ceilings of this building makes it so unique. 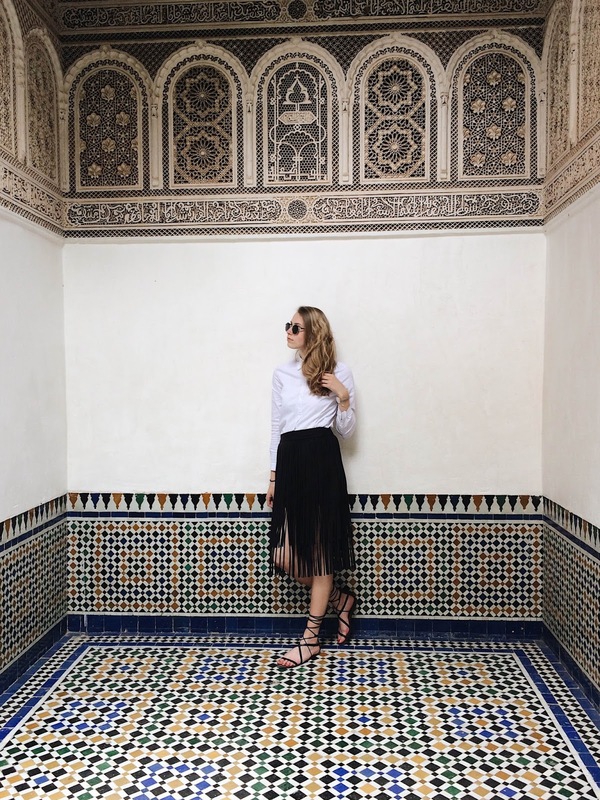 A visit to Ben Youssef is a great way to discover more about the Moroccan culture and architecture, a must-see in my opinion! 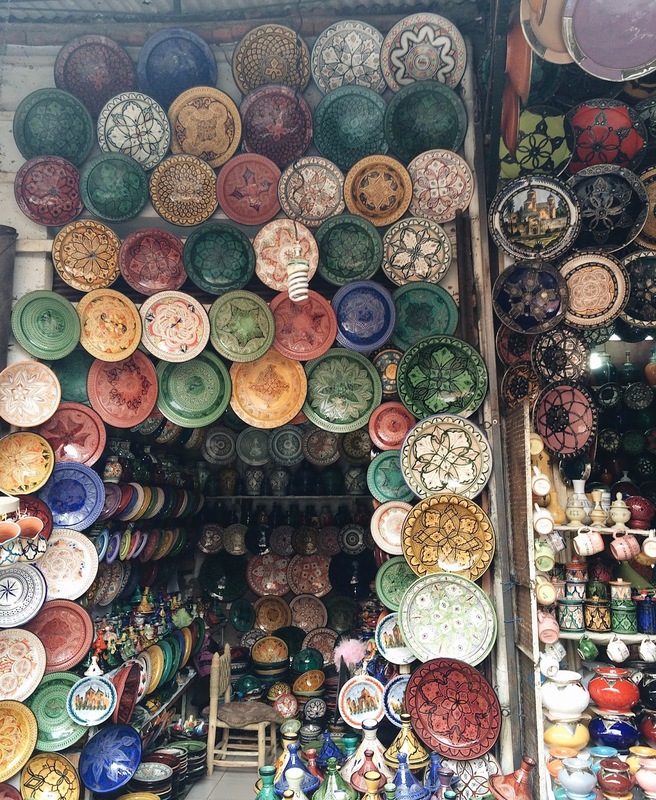 Wandering around in the Souks was one of my favourite things to do while staying in Marrakech, I could spend hours here. 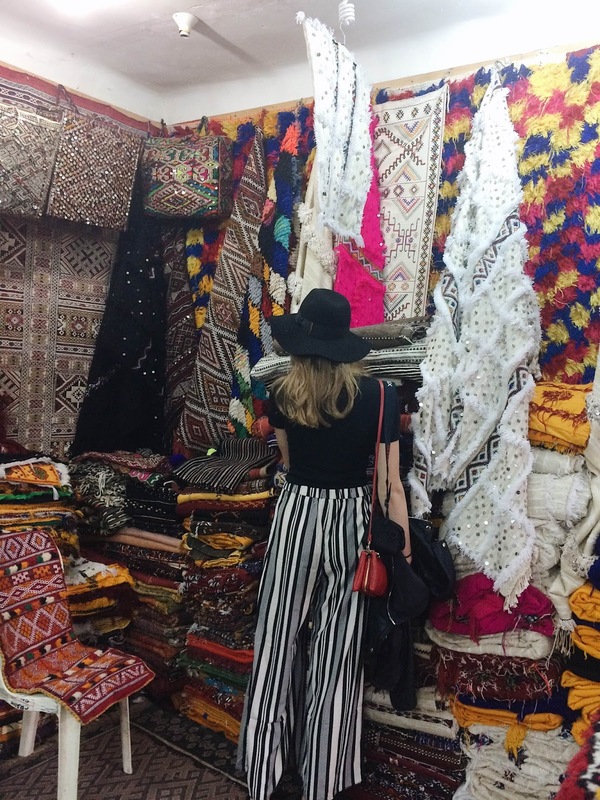 You will find the prettiest things while walking around - carpets, lamps, scales, bags, shoes.. It was hard for me not to buy everything I saw, because unfortunately we didn't had that much space left in our luggage. 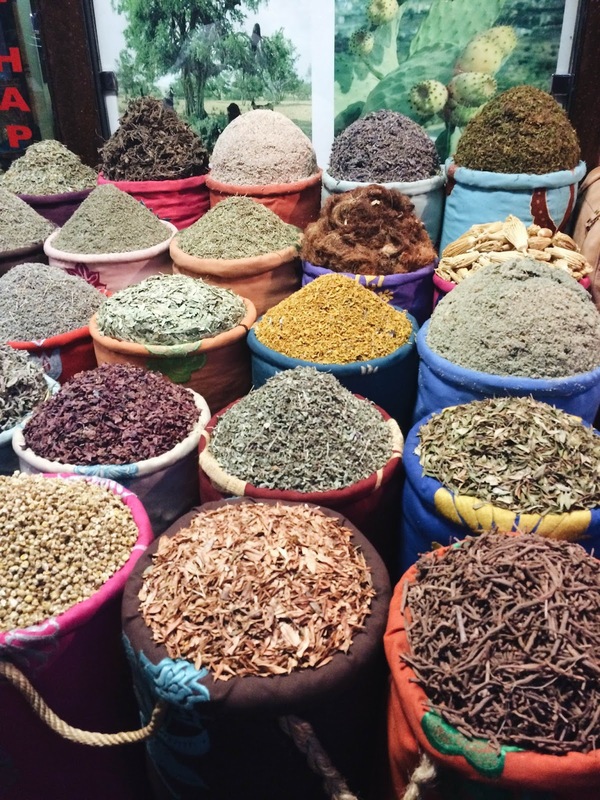 Be aware that the souks are a real maze so you'll probably get lost at some point - but that's the fun of it! 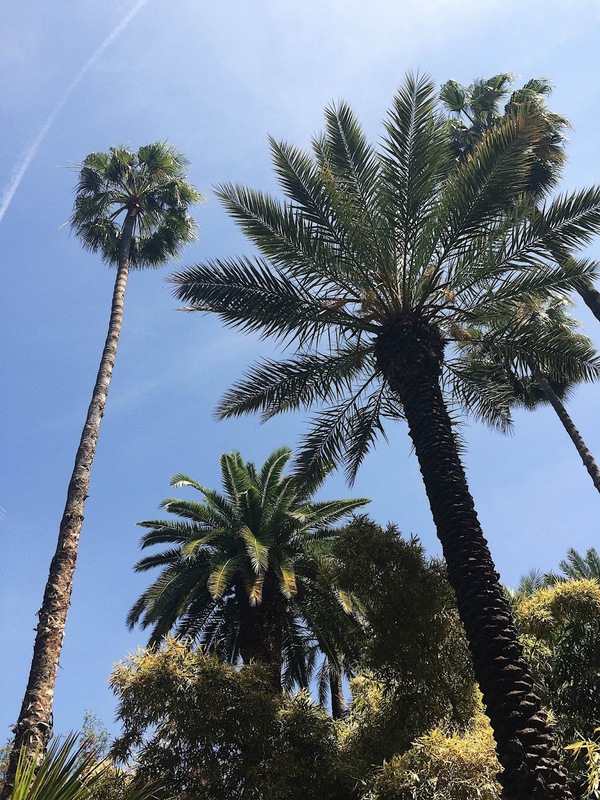 These famous gardens are the perfect escape from the chaos and busy streets of Marrakech. 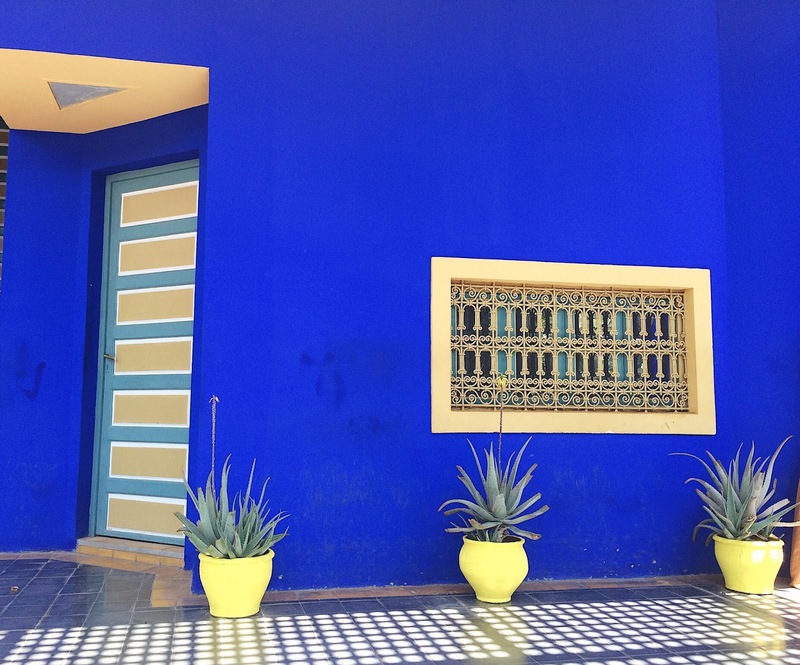 The gardens are originally designed by the French artist Jacques Majorelle, but are now the property of the famous designer Yves Saint Laurent - who decided to open it for public. You can visit his former house (which is a museum now), or just walk around in the botanical gardens and admire all the different kinds of plants and flowers. Tip: go early to avoid the crowds, because it can get quite busy there during the day! Another place to go if you're searching for some peace from the hectic! 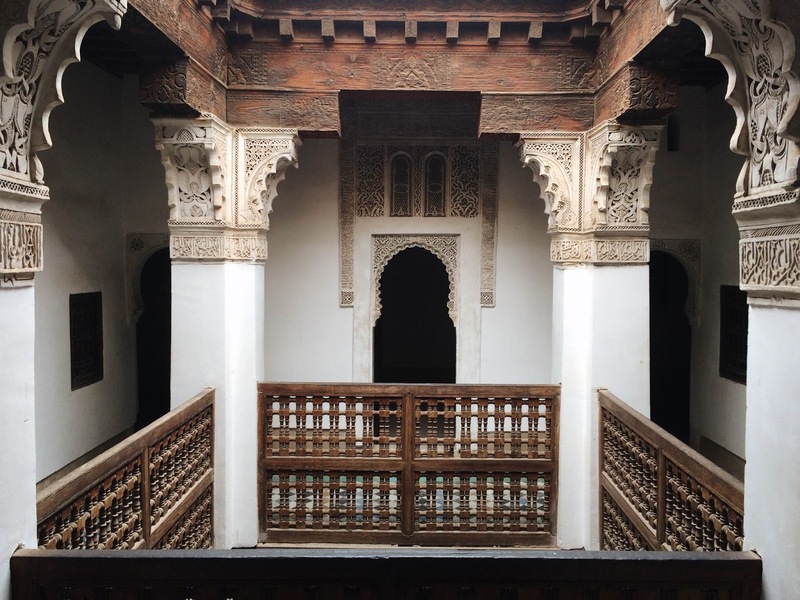 Bahia Palace was quite a surprise for me, I didn't expect that much of it, but once I arrived I fell in love with the place. 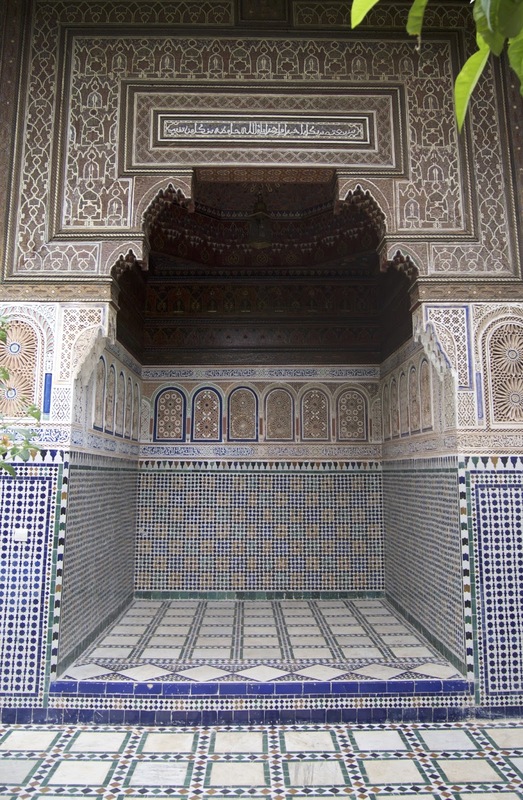 I couldn't get enough of all the different colours and patterns of the tiles and ceilings of the palace.. Another big plus from the Bahia Palace is that it is not overcrowded with tourists, so enough space to relax and enjoy the beauty of the palace! 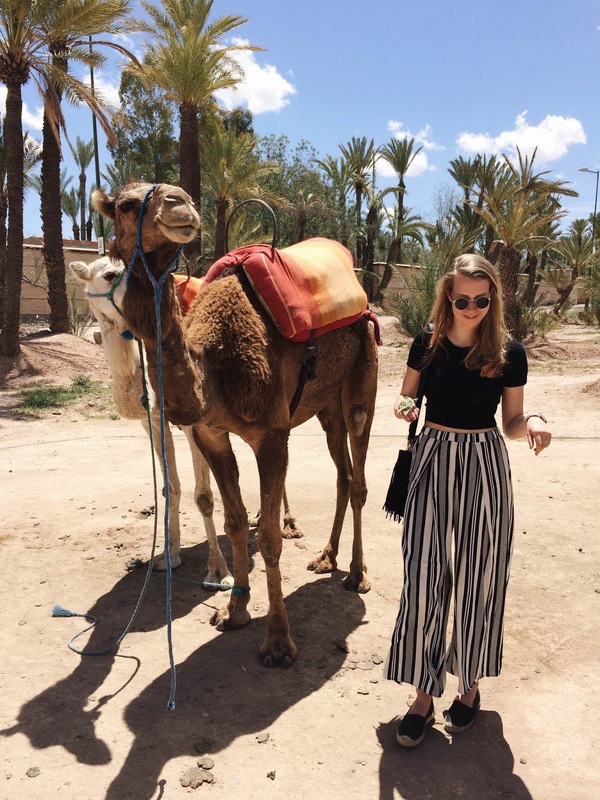 Camel riding was always on my bucket list, so I'm glad we decided to book a camel riding tour on the last day in Marrakech! We were on the camels for about an hour, and we made a big round through the dessert of the Palm Grove. I really loved it, but be aware that it is quite a bumpy ride! The only thing why I was doubting about booking a camel tour, was that you never know how the camels are being treated by their owners.. It looked like the camels we were on during this day were treated quite good, but you never now if this is really the case of course. 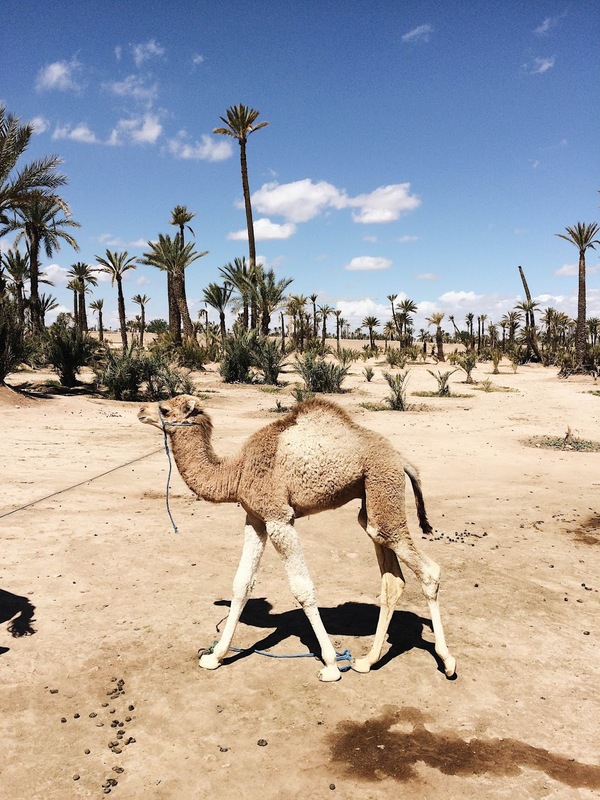 So if you want to make sure the camels are treated good, do some research before you go camel riding!